I have a house in Barbados and am thinking of buying a new car there. 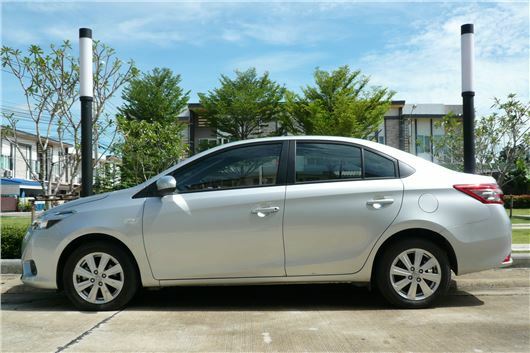 It's mostly Japanese cars that are readily available, but local taxes make them very expensive. Toyota has a Yaris that is nothing like the UK Yaris; rather its a 4-door saloon with a decent boot and useful for collecting or taking friends to or from the airport. However, I have a funny feeling they are not built in Japan and would appreciate your view on build quality and or other makes. That will probably be a Toyota Soluna Vios, known as the Yaris Sedan in the USA, The Caribbean and Australia. They are built in Japan and also in Thailand where they are currently up to the third generation. We bought a first generation Soluna Vios in 2004 and ran it to about 150,000 kilometres. Very reliable. I’ve also hired 2nd and 3rd generation. Best engine the 1.5VVTI 110. Best gearbox the 4-speed torque converter. But from 2016 they have been fitted with the 1.33VVTI engine and Toyota's CVT automatic transmission. We are about to travel to New Zealand and rent a car for up to 6 weeks. Family that lives there and will be organising the car rental has warned us that the excess on the agreement will be quite high. We have a quote to cover the excess charge (up to £6,000) on a worldwide annual basis for a maximum rental period of 60 days for a premium of about £55. Would you recommend obtaining this cover? and are there any pitfalls, either in the cover or the insurer that we should look out for? The pitfall is that you will have to pay for any damage first and then claim it from the UK insurer later. The UK insurer does not automatically pay it. But also check with the rental company. Hiring cars from Avis in Thailand I've found that the waiver is charged at a daily rate and the total cost of it can considerably exceed the maximum amount waived and that there is usually a limit on damage claims. So the maximum I could stand to lose was less than the cost of the waiver. However, that does not cover theft claims. So you need to be clear before doing the sums. After a major change in circumstances my wife and I traded two cars for a Mazda CX-3 earlier this year, after reading numerous decent reviews from yourselves. We chose the 120PS petrol as my wife prefers an automatic and I was informed the 150PS was only available in manual. Our annual mileage has dropped to maybe 6,000 miles with quite a few short journeys. Using Shell V Power we are currently getting 46 miles per gallon after only 3000 miles, which I think is decent. We have had many cars over the years we have been together (20+ in 25 years) with probably an A6 Allroad being a high with its excellent V6 diesel and the Lexus 450h being a big let down. We are just about adapting to the decreased size of the CX-3 after some biggish SUVs, the last being an XC60 that was bought for pulling our caravan (now gone as well). My question is, as we have no spare wheel and, the area where a pretend spare wheel would fit in the car, has a "Sub woofer" in the way, what is your opinion of the "gunk" advertised to be injected into the tyres to help repair any minor punctures we may get. This is not the so-called repair kit supplied, which I think is a probably a waste of time. I anticipate your reply will no doubt be sensible: ditch the sub-woofer and purchase a space saver just to get out of trouble. I hated paying for the run flats on my MINI Countryman but did appreciate their assistance when I had punctures: 6 in four years of owning the car from new which was not a good record but at least we do not now live along an unmaintained track any longer. Runflat tyres. I don't know of any squirty gunk that will seal anything more than a pinprick puncture. In fact, punctures are rare. I get one every 5 years or so, and the last was in a Mazda 6 where the goo simply oozed straight out and the experience cost me 4 hours plus an eye watering £256 for a new tyre. Prior to that we had a tyre shot out on the launch of the 2008 Mondeo in Sardinia. So I'd wait until your present tyres are worn out before replacing them. AA vans now carry universal emergency spare wheels that they lease to you to get you to a tyre depot. And you don't really want to mess about trying to change a wheel at the roadside. Very high chance of being killed by a passing truck. Is there a known problem with the exhaust valve on a 2012 Ford fiesta. My son’s car has developed this fault. Two garages have said it shouldn't happen on a car of this age and mileage (less than 50,000). Bristol Street Motors won't even entertain helping my son out. He can't afford the £1,000 plus to get the car repaired. Any advice? One report with the 1.25 engine here: /carbycar/ford/fiesta-2008/?section=good/ More reports of spark plugs breaking up and destroying engines when they had not been replaced. I was wondering if you can enlighten me on why car makers carry on producing hybrid power cars that have an engine that drives the wheels as well as charge's the battery? Surely an engine could just produce electricity to drive the electric motors and if necessary top up the battery. Navy warships have exactly this- electric drive motors and the whole ship runs off electricity produced from the engine's. It would save a lot of weight and am sure the powerplant could be made smaller and run off LPG. If memory serves me, Rover had a prototype with gas turbine engine. I know fuel cell will arrive at some point in the future, but not at the moment. They tried that with the Vauxhall Ampera and Chevrolet Volt. It didn't work very well, which is why they have mostly reverted to the Prius type system that is tried and tested. That said the BMW i3 with range extender works the way you describe. Last month I was driving my 110,000 mile 2008 BMW 320d Touring when it suffered a catastrophic breakdown on the motorway. I was advised that the manifold had overheated and melted and that the resultant debris had fallen into the valves, which them jammed and so damaged the engine beyond repair. A replacement engine is required. BMW says, in effect, “bad luck”, but the vehicle is too old and so are not prepared to make any “goodwill” payment towards the cost of repairs which may well approach the value of the vehicle. This is not the outcome I would expect from a vehicle of this make and age. Do you or your readers have any experience of this problem? Is it a well-known problem? Are there any examples of BMW being persuaded to help? This reads to me more like manifold swirl flap failure. There is a very high incidence of reported failures of E90 BMW engines. I'll add yours to the long list here: /carbycar/bmw/3-series-e90-2005/?section=good/ Unfortunately, the car is now more than 6 years old so well outside any legal liability by the supplying dealer or by BMW. I have a new model BMW X1 Xdrive 2.0i auto (petrol engine). It is 11 months old (9,000 miles). The service indicator shows oil service due in Nov 2017 or another 9,000 miles. This means that the first oil change will be at around 18,000 miles (2 years). Following your advice regarding having an oil and filter change every 10,000 miles or 12 months I approached the BMW main dealer to have this done. They quoted nearly £300 to do this. They said that they would not be able to 'just' change the oil/filter but do all of the other stuff that has to be done on a first service and re-set the service indicator. Are they pulling my leg? If I had the Oil and filter changed at a non franchised garage with the service indicator left unchanged (if that is possible) would that affect the warranty? Get in touch with the dealer principal of the dealership involved and ask him if his service manager is serious. This is the most ridiculous thing I have ever heard. BMW and MINI engines routinely fail because the oil and filter have not been replaced frequently enough. The cost of an oil and filter change using fully synthetic oil should not be more than £80. Another reader successfully negotiated the cost of an oil and filter change only to £130. When I bought my BMW X1 in September 2013 I took out a service package for 5 years. The first oil change came at 19,000 miles when the car was 2 years old. The next service is predicted at 38,000 miles when the car will be almost 4 years old. BMW refuses to honour this service earlier unless I pay for it. Is this worth doing, given your normal advice for changing oil every 10,000 miles? If you want the engine to last, yes. This is the scandal of these service packages. They are designed to give the car minimum servicing so it wears out earlier and needs to be replaced. I know that you are limited in the amount that can be published in the Telegraph but I desperately need your advice as all other sources of advice have been hopeless. In November 2014 My wife and I purchased an unused pre-reg. VW Tiguan equipped with all the bells and whistles from the VW Main Dealer in Slough for £28,000. It had a lovely interior and exterior and was great to drive. After a couple of days I noted that when reversing with full left hand lock down, there was a mysterious ‘KLUNK’ and feedback to the steering wheel. This was repeated on several occasions but only when reversing with left hand down. In particular when parallel parking on a steep slope where my son lives in Clapham, off Northcote Road. I returned the car to the dealer immediately. There I demonstrated the ‘KLUNK’ to an engineer. He confirmed the ‘KLUNK’. He then took the Tiguan into the Garage and spent over two hours trying to find what was making the ‘KLUNK’. He returned the car with the advice that the noise would cease eventually. The car is now two years old and still has the ‘KLUNK’. I should not have taken his advice and instead returned the car to the dealer, demanding a replacement. After several visits to the Slough Dealer and my local VW Dealer, there was no confirmation as to what is the cause of the ‘KLUNK’. At this point, I contacted VW, directly, a Case number was given and, after several calls, I was referred to my Slough VW Dealer garage who took the car in for investigation and I was given a loan car. No fault found. The VW Team next referred me to the local VW dealer in my town. They did investigations and could not isolate the ‘KLUNK’. After following up similar faults on the Internet, I suggested that the noise could be generated from the Nearside CV joint when on full lock. To my disgust the, Offside CV Drive was replaced, the car returned to me and still the problem ‘KLUNK’ continued. After many calls and discussions, VW has now washed its hands of the problem. I was offered on opportunity to exchange the car for an equivalent model . However, my two year old car is only valued at £13,000. That is the value of a two year old VW Tiguan if you want to exchange. I am disgusted at the loss of £15,000 after 2 years. That is how much VW values its vehicles? I have a major loss, I'm 80 years old in May 2017 with only my pension. I used my savings to get the car of our dreams and now it has lost a huge amount of money. Is there anything that I can do? This is the price situation for 2014 Tiguans: /used-prices/Volkswagen/Tiguan/2014/ If you click on the various engine and trim options you can refine it down to your Tiguan. Basically it would have lost about £14,000 anyway if you paid full price in the first place and wanted to part-exchange it now. However, since the problem existed from purchase, you can demand of the original supplying VW dealer that it is rectified at the cost of the dealer and if he does not willingly do this, you can have the work done elsewhere and can sue him in the Small Claims track of the County Court for the cost. Law here: /faq/consumer-rights/ Of course, if the klunk only happens on full lock, then the answer is not to use full lock because doing so anyway imposes a tremendous strain of the driveshaft Constant Velocity joints. I have an Audi A6 Allroad. I bought it new and it has given me over 130,000 fault free miles. It is always serviced etc by an Audi dealer and I have had no complaints until now. The engine cooling fans start up the moment the engine starts and continue throughout any journey until a few minutes after the engine is switched off. Audi have said I need two new sensors and that they will cost £1400.00 parts and labour. Seems like an awful lot of money for 2 sensors? Definitely does. One of the sensors will be a temp sensor/sender screwed into the waterjacket of the engine and if that is stuck on then it will leave the fans switched on. I don't know what the other sensor is, possibly connected to the a/c. I used to fix these in VAG engines myself, requiring only a loan of the right size socket. I'd look around for a reasonably local independent VAG specialist. I have a 2002 Peugeot 406 Rapier estate, owned from new and in very good condition. In 2007, with a mileage of 40,000, I changed the cambelt, waterpump, etc. Shortly after that I started using an excellent private non-franchised garage. I've just enquired about cambelt replacement intervals and have been told it's 10 years or 96,000 miles. Was I misinformed the first time or has Peugeot changed the criteria? No. You were very sensible to have the timing belt, tensioner and waterpump changed when it was changed, and a sensible precaution would be to change them all again because they are now 9 years old. If this garage works by manufacturer recommendations rather than by experience then it isn't very experienced. My wife bought her BMW 118i petrol-engined convertible in 2008, since when it has covered just over 17,000 miles. Recently it has spent a year in the garage completely unused because she had to surrender her licence for medical reasons. I am very pleased that she has it back now. However, the car has since developed an intermittent engine fault that the magic box diagnosed as two faulty injectors, and so all four are being replaced. There has to be an underlying cause for this, and my guess is fuel contamination, by grit, chemical degradation, or water. Water seems most likely: condensation from the tank “breathing”, although I am not sure how this would damage the injectors. I have therefore instructed the garage to drain the fuel tank, and flush the fuel system through. Do you think I am right about this? I would be grateful for any comments or information you might have. Re New Zealand car hire. I hired a car from Apex Car Rentals for a week. I took the zero excess option and also the older car option.. The car was a Toyota Camry 2.4 automatic. The car had dull paint and few small dents and scratches, however it drove well, was clean and everything worked, it also cost a lot less to hire than a new car would have. Because it had a zero excess there were no surprises waiting for me after returning home.